Under the Investment Philosophy page, I mentioned that I assess moat-type investments on a Quality, Valuation and Growth framework (QVG). In this post, I’ll expound in greater detail on the assessment of ‘Quality’. As different variables and scenarios arise from each investment opportunity, it will be hard to list each and every condition to determine quality. To simply matters, other than the key conditions I look out for, I have also laid out the ideal situations which would likely lead me to invest in a quality business. Broadly, I categorise quality into 2 buckets – the qualitative and quantitative aspects. I have also included a diagram or flow chart of sorts to summarise the below-mentioned points for easy and future reference. One of the first things I try to identify is the type of economic moat(s) a business possess(es). The moat, in a way, refers to competitive advantages. Its usage in the world of investing appears to have caught on after the repeated usage by Warren Buffett in the Berkshire letters and during interviews. If Warren Buffett was the father to popularising the ‘moat’ term, Pat Dorsey would be the intellectual offspring who expanded the topic on moats. Pat Dorsey was the director of research at Morningstar and wrote the wonderful books, ‘The Five Rules for Successful Stock Investing’; and ‘The Little Book That Builds Wealth’. In these books, he covered in great detail how to analyse moats, what makes them great and has a number of examples to show for. Plenty has been written about the topic so I shall not go into the nitty gritty details of each moat. I have included in brackets above, my own examples of well-known companies that fall into each categories. Over the years, I came to realise that for a business to be truly great, 1 standalone moat is insufficient. Although one moat is typically more dominant than the other, there usually needs to be a strong combination of at least 2 moats concurrently driving the business. As an example, while Coca-Cola definitely has the dominant intangible – brand moat driving its success, its operations also has huge economies of scale at the global level. This helps the company to generate greater profits (stemming from lower cost per unit) in excess of what another strong beverage brand that is just a small local player may otherwise achieve. Once the type(s) of moat(s) is/are ascertained, the next step – which is a crucially important step – is to assess how sustainable the moat(s) is/are likely, measured in number of years. The more sustainable the moat is, the longer the duration of excess cash flows flowing into the business that will ultimately benefit shareholders. Determining the duration is not an exact science and there is a large element of guesswork. However, there is one clue to this. The reality is that the most likely source of disruptive force affecting any business stems from technology. As such, one of the key questions I seek to answer for each investment case is the chance of technology disrupting the dynamics of the core business. In the case of gum chewing, the internet and pace of technology change is unlikely to disrupt consumers’ habits. In my opinion, I think there is a high degree of certainty that in 10 to 20 years from now, I will continue to chew pretty much the same Wrigley’s gum I do today as I did decades ago. In comparison, I cannot be certain my laptop will be from Acer. In fact, given the pace of change in the field of electronics, I cannot even be sure I’ll be using a laptop in the next 10 to 20 years, not to mention that I already have an iPad tablet. In short, the further away the core product of a business is away from having a remote possibility of being affected by high technology, the slower the rate of change and the higher the odds of investments being safe. That said, I am not advocating staying away from all technology-related stocks. That would be foolish since technology is going to feature in a larger part of our lives in the future. There are some truly great businesses that have stood the test of time, such as Microsoft and Adobe. As an example, Sapiens International, a insurance software provider which I wrote up on, has its software deeply embedded in its clients’ core operations. Once the mission-critical software is installed and the employees of its customers are trained on it, it becomes very hard for the software to be ripped out without its clients’ suffering downtime. Thus, while Sapiens International is a technically a technology firm, these huge switching costs and the customer stickiness that comes with it, should extend the business’ sustainability and correspondingly, the duration of the cash inflows. Ideally, the sustainability of a great business’ moat should last at least 20 years. It goes without saying that in an ideal situation, a quality business would see revenue, profit and operating cash flows rise annually at a good clip over at least the past 5 to 10 years, and is expected to do so going forward. The definition of good clip could at times be subjective. Generally, I would be satisfied with a consistent 5% to 15% annual growth rate for the top-line and a correspondingly similar or higher clip for the bottom-line. Too low and it may call into question how good the business and the sector really are; too high and it will surely attract excessive competition that will eventually drive down returns. In a way, when it comes to assessing financials, I prefer a Goldilocks approach, not too cold and not too hot. On profit margins, I am agnostic on whether it is low or high on a standalone basis. Profit margins by themselves do not tell much about the quality of a business as the levels are very much dependent on the nature of the industry and business. For example, even though a supermarket business has low margins, it should not warrant striking it out as a potential investment. The nature of a supermarket business (eg. Walmart) is that of low margin, high volume. 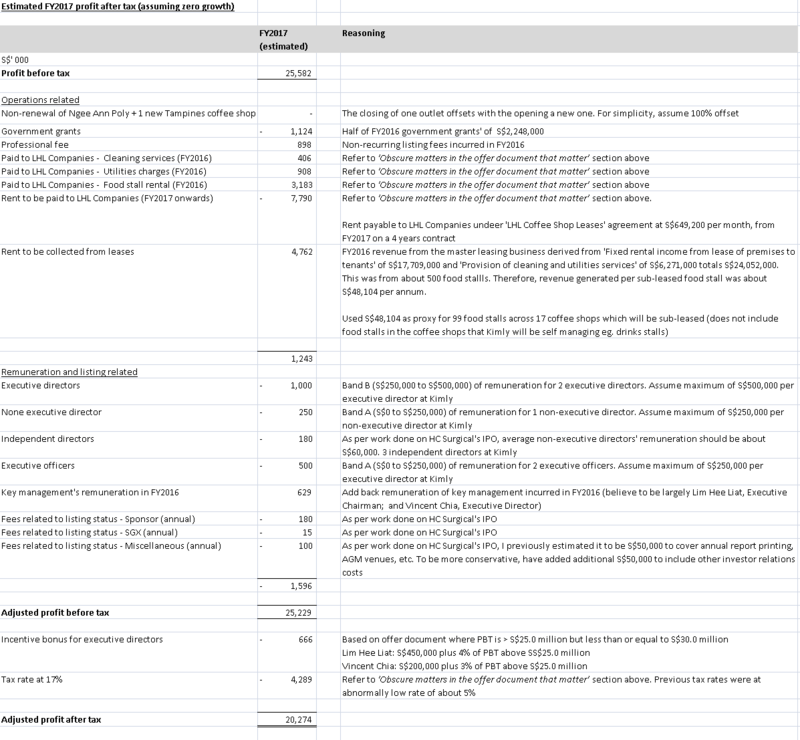 In comparison, a luxury goods business (eg. Tiffany’s) has the exact opposite features – high margin, low volume. Both can be fantastic businesses. When it comes to assessing margins, the real test is to benchmark them to its peers within the sector and industry. Needless to say, a high quality business’s margin should be within the top quartile of its group. To draw inspiration from Lord of the Rings, the one financial metric to really rule them all is the businesses’ returns on capital (“ROC”). ROC, in my opinion, the one metric that will tell a strong business from a mediocre one, regardless of whether the nature of a business is high or low margin. The topic will be further discussed under the section below. It has been said that profit is opinion, cash is fact. 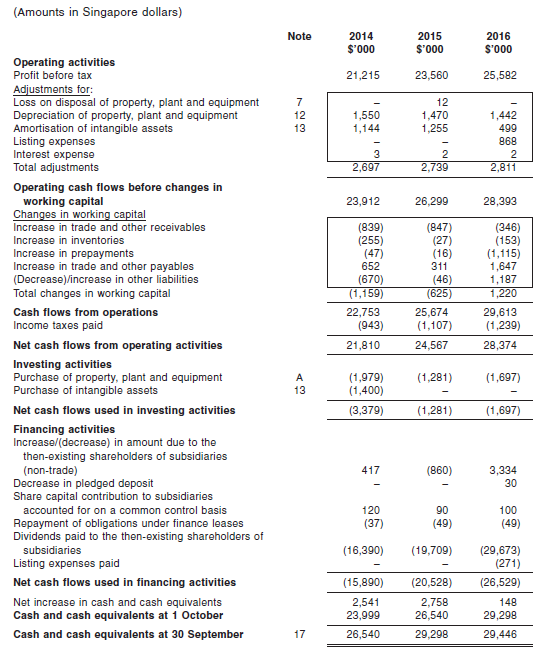 To avoid companies with potentially aggressive profit recognition, accounting gimmicks and to seek out businesses with good working capital management, operating cash flows should ideally exceed net profit in most years. 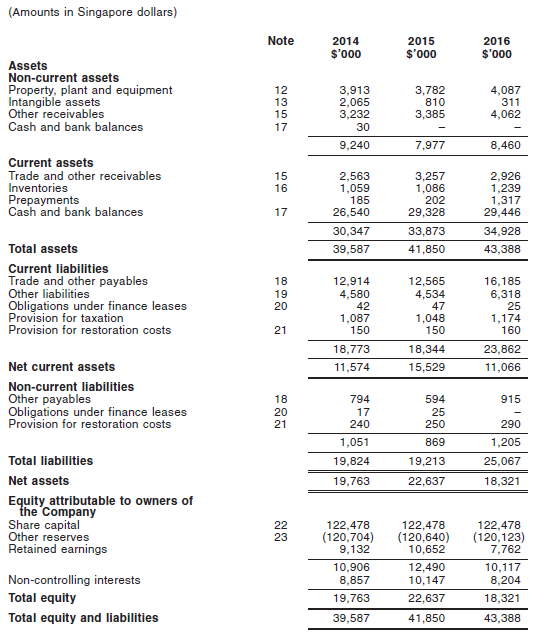 The safest of scenarios from a balance sheet perspective would be a net cash position. Very often, it is not the case and I am not averse to investing in companies with a net debt position. I do not have a thing against net debt on the balance sheet. It is just that the levels have to be reasonable. 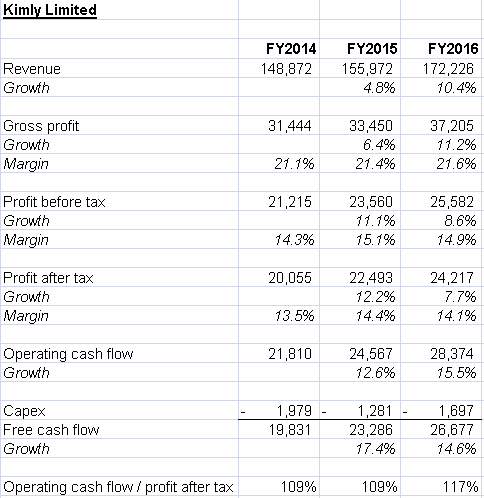 My general rule of thumb is that it should not exceed 3.5 times normalised free cash flow (adjusted to exclude growth capex). On other aspects of the balance sheet, it is hard to pinpoint specific measures due to balance sheet items differing from industry to industry. However, one of the more general metrics I assess would be whether inventory and account receivables drastically exceed that of revenue growth. These are usually respective tell-tale signs of excessive inventory build-ups that could translate to impairments from obsolescence; and disproportionate rise in account receivables that could spell bad debt write-offs coming soon. In the previous section on ‘Income statement and cash flow’, I mentioned the ideal situation of a quality company having rising top and bottom-lines. That condition doesn’t exist in a vacuum. After all, capital is not free. With unlimited capital thrown into a business, almost any business can grow its revenue and spin a favourable-looking set of financials that is low quality in reality. The key differentiating factor is the capital structure and the efficiency derived from the capital employed. Truly great businesses should have the ability to generate high returns with little or at least, reasonable amounts of capital. In particular, the high quality capital-type should come in the form of retained earnings rather than from debt. Rocketing debt levels that accompany revenue and profit growth are certainly red flags that deserve greater scrutiny. This brings us to the next point – ROC. One of the quickest filter to screen for quality businesses would probably be high ROC, which is a hybrid metric that utilises income statement and balance sheet figures. The key difference between ROC and return on equity (ROE) is that ROC takes into account the full capital structure, which includes interest bearing liabilities – debt. ROC performance is usually one of the key metrics I look out for, since over the long run, ROCs have to exceed the business’ cost of capital in order for value to be created. An example of a great business with the trait of utilising little capital while generating disproportionate cash flows and growth is Moody’s. In the 10-year period from 2005 to 2015, Moody’s generated about US$7.5 billion in total free cash flows as compared to only investing additional capital of merely about US$0.8 billion. In reality, very few businesses in the world can do this. The public knows this and the valuation of such businesses are usually bid up sky-high. However, every once in a while, when uncertainties arise such as in the case of the US government suing Standard & Poor (“S&P”) over its role in being less than honest about the ratings it gave to clients, there could be opportunities to load up on S&P and its counterpart, Moody’s, when the stock price got beat down over fears of astronomical fines they may have to incur. I typically start to get interested in a business when the ROCs consistently exceed 15% annually. In the most ideal situation, ROCs would have increased over the years and are expected to continue growing. At the very least, ROCs should at least be stable. The exception that I will make on ROCs being below 15% is when ROCs have been on an uptrend over the past few years. This trend could be a clue that operations are improving. Importantly, it would warrant further work on investigating if the business has an emerging moat. If it is indeed the case, beyond being just an emerging quality business, this could be an opportunity to get in at the ground floor of a business that may be a compounder for a long time to come. 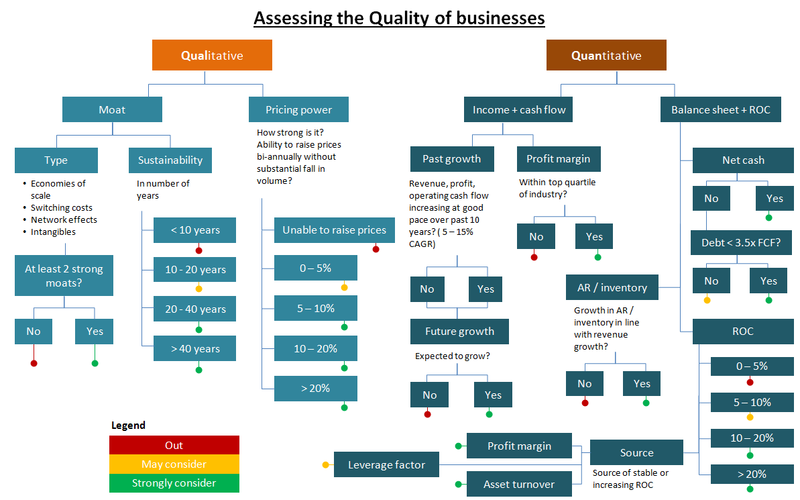 I would usually go a step further and utilise the DuPont analysis to determine if the source of stable, rising or declining ROCs – margins, turnover and/or leverage. The highest quality of the source of rising ROCs would undoubtedly be margin expansion (most sustainable and in part relates to pricing power) and asset turnover (efficiency in managing resource), followed by the usage of leverage to finance its operations which would be the lowest quality of sources. My past experience with options has always been in purchasing call options. About 2 weeks ago, I put through my first trade of selling put options. The key objective for selling options is to generate income for the portfolio. A safe bet tends to be the selling of put options at a strike price which one does not mind owning the underlying stock, in the event the counter party exercises the option. The underlying stock in question is Verisign which I have held for more than a year. I continue to like the business immensely. Verisign holds the .com domain monopoly – Warren Buffett’s proverbial toll bridge. To put it simply, every company in the world that wishes to register a .com, whether it’s Apple, Google or Microsoft, ultimately has to pay an annual fee indirectly to Verisign. In my investment thesis writeup on Verisign, I noted that the agreement with the Internet Corporation for Assigned Names and Numbers (“ICANN”) to maintain Verisign’s monopoly is ironclad since there is an automatic renewal mechanism as long as Verisign does not screw up its maintenance of the root zone files. On 20 October 2016, that agreement was extended till 2024. The agreement was originally due for extension only in 2018. That it will ultimately be extended isn’t a surprise for me, but to the rest of the market, the renewal probably provided extra clarity and was a nice surprise given how early it got renewed. That event sent the stock price up 6.5%, from US$76.56 to US$81.56 though it has since came back down to US$76.47 as at 26 December 2016. The details of the option in question is a premium of US$3.50 at a strike price of US$65.00 and has its expiry on January 2018 or about 12 to 13 months from now. At the point of selling the put options on 19 December 2016, the stock price was about US$78.20. The stock price has to fall about 21% from US$78.20 to US$61.50 before the puts will be exercised by the counter party. Given my belief that Verisign’s business will continue to be strong and generate the adjusted free cash flows at more or less the same amount even in bad times, I would be glad and very comfortable owning the stock at lower valuations. The way I see it, Verisign’s stock is a bond-like instrument with a small growth component embedded. At a stock price of US$78.20, it is trading at a rather acceptable EV / adjusted TTM FCF (excludes stock-based compensation) of 13.9x or a yield of 7.2%. Should the stock price fall 21% to US$61.50 when the put options become exercisable, the stock’s yield would now be about 9.0%. This compares favourably to the risk-free 10-year and 30-year US government bonds yields of about 2.5% and 3.1% respectively. While I know perfectly well that these are not exactly apples-to-apples comparison, and that Verisign isn’t risk-free (though I think it comes quite close), I thought it is still useful and a good enough shorthand to know that Verisign will be yielding about 2.9 to 3.6 times that of the risk-free rate. All in all, the premium collected will amount to an annualised return of about 5.2% based on the capital-at-risk. 5.2% is certainly nothing to shout out about as compared to most option traders’ double digit annualised returns. However, the structure of this trade is one that I can go to sleep at night soundly in even if the put options are exercised. Considering the insomniac I am, I would rather choose this over nail biting and exhilarating option trades that will leave me sleepless at night. I am not sure if Verisign’s stock price will fall below US$61.50 over the next 12 to 13 months but even if it does, I would be a happy camper, assuming there aren’t significant adverse changes to the nature of the business. In the meantime, I’m glad to sit around and collect my US$3.50 in premiums! 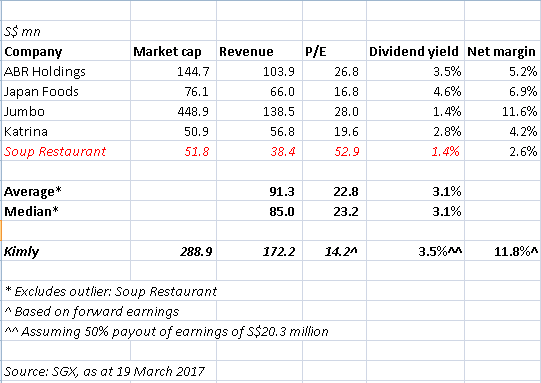 I completed an investment idea write-up today on An-Shin Food Services Co., Ltd (“An-Shin”), a Taiwan-listed company which is the franchisee of the MOS Burger fast food outlets in Taiwan, China and Australia. MOS Burger was originally from Japan and is relatively popular in Asia. 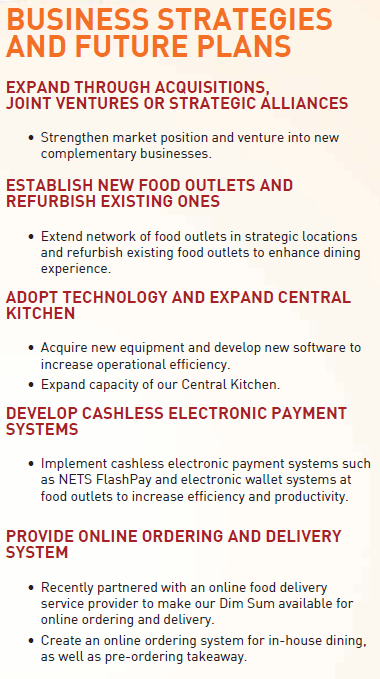 In particularly, the MOS Burger brand has more than 1,600 outlets in Japan, Taiwan, Singapore and Hong Kong. An-Shin is running a great business but it isn’t without problems. Most notably, its China operations are loss making. However, things aren’t as bad as it seems, especially since the China segment’s losses have been narrowing and cash flows have been more than healthy. It is also a relatively unknown and uncovered stock flying below the radar of institutions. 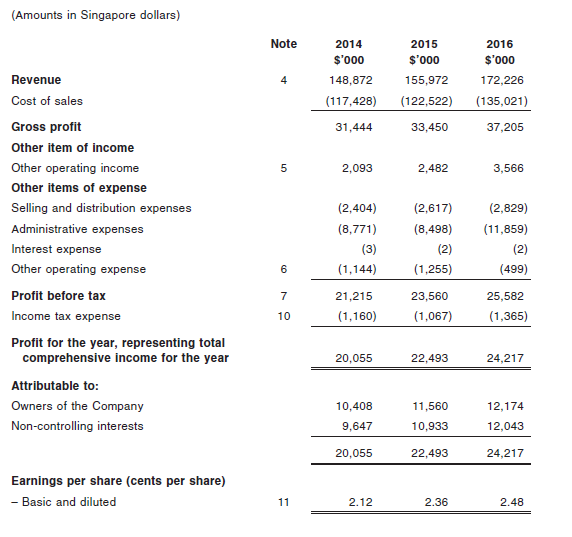 With a market cap of just TWD2.44bn or about US$76mn, and its 2 largest shareholders controlling slightly over 50% of the shares outstanding, An-Shin is probably considered an obscure micro-cap without enough liquidity to attract institutions. This of course represents a potentially good opportunity for those investors without the privilege of managing a couple hundreds of millions or billions to take a bite into An-Shin as an investment. Even if one of the points does not ultimately come to fruition, it wouldn’t mean that it would be a deal breaker to the thesis behind investing in An-Shin. It would however, definitely be a red-flag that requires greater investigation to assess whether the quality of the business has deteriorated substantially. To do your own due diligence of An-Shin’s financial statements, you can visit their investor relations website, which thankfully has English-translated versions. However, the earliest translated versions date back to 2014 while the traditional Chinese-based financial statements go further back to 2011 when An-Shin was listed. To view my write-up, you can click here. As this write-up was completed over the Christmas holidays, I wasn’t able to put through a purchase order for the stock since the brokerages (Singapore) are only open tomorrow at the earliest. As such, I’m hoping to put through the order first thing tomorrow morning. If the last trading day’s volume of about 15,000 shares or about TWD1.1mn in value traded (US$35.1k) are of any indication, it should be sufficient for my order to hopefully be fulfilled.